National Doctors’ Day is March 30. To help build partnerships with doctors, it is important to show your appreciation for all they do. Show your appreciation through 7 creative marketing ideas. How will you recognize physicians in your community on National Doctors’ Day? National Doctors’ Day is March 30. It is a day to honor physicians for their devotion to keeping patients and communities healthy. The first Doctors’ Day was in 1933 in Winder, Georgia. The observance included mailing cards to physicians and placing red carnations on the graves of deceased physicians.1 It then became a national holiday in 1991. While doctors are highly respected, working as a physician has become increasingly more difficult. Studies show that many doctors are stressed and unhappy.2 More than half of physicians are disengaged, burned out and demoralized.3 This is often due to frustration with excessive administrative and regulatory tasks. There are several creative ways that pharmacies can show appreciation to doctors and can make it easy for patients to do so. 1. Post signs in your pharmacy to announce National Doctors’ Day. Doctorsday.org has signs and banners. 2. Mention Doctors’ Day on your website and social media. Provide a way for patients to post comments. Let physicians know about your pharmacy’s online acknowledgment and about patient comments. 3. Send greeting cards to doctors in your community from your pharmacy and from patients. This replicates the first Doctors’ Day. 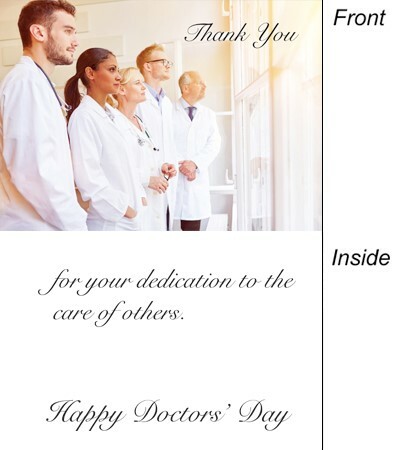 Doctorsday.org has special Doctors’ Day cards, if you need a resource. 4. 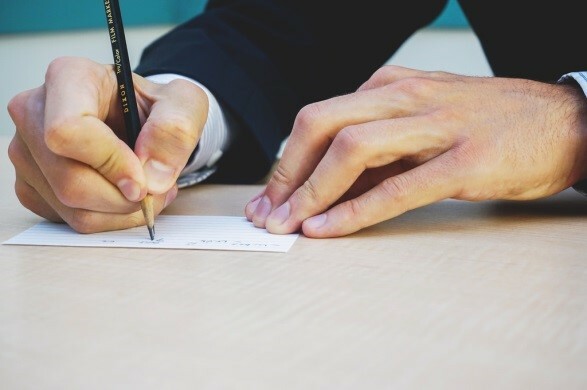 Invite patients to write notes to physicians. Keep note cards on hand. When patients are picking up a prescription, suggest that they write a short note of appreciation to their doctor. Then, pull these notes together and send them to each physician. Such notes can be extremely moving for physicians. 5. Provide patients an opportunity to contribute to a charity. In honor of Doctors’ Day, select a local charity, make a donation to honor local prescribers, and give patients the opportunity to contribute, possibly with a link on your website. Let local doctors know about the contributions in their honor. 6. Send physicians a red carnation with a note from your pharmacy expressing appreciation. Symbolic of National Doctors’ Day, the red carnation signifies qualities of love, charity, sacrifice, bravery and courage. 7. Host a National Doctors’ Day gathering, such as a coffee meeting, and invite doctors and patients to stop by. For each of these actions, inform your staff and market it in your store, online and with local media. Let prescribers know how important they are to the community and make them aware of your activities to honor them. Also, share your similar struggles with work/life balance and administrative tasks with the physicians so you both can share ideas for improvement. This includes helping ease administrative complexity, dealing with regulatory compliance and improving Star Ratings. Recognizing physicians is a good thing to do all the time and is an important step in building collaborative relationships, so take this holiday to build or improve your relationships with local prescribers!